The Federal Government has begun the disbursement of the first tranche of the N90bn conditional loan facility to some of the 35 states that have so far applied for the loan. 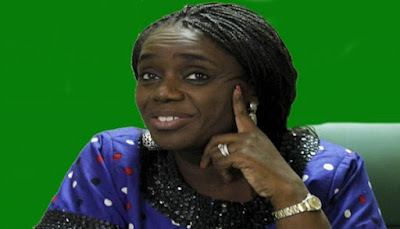 The Minister of Finance, Mrs Kemi Adeosun, had on June 14, while announcing the N90bn conditional loan facility to states, said the funds had been secured from the private sector to state governments through the issuance of bonds in the bond market. She had during a meeting with commissioners of finance from the 36 states of the federation said the loan would be given within a one year period. The minister had explained that based on the agreement with the governors of the states and the commissioners of finance, N50bn would be released within the first three months where each of the 36 states would get about N1.3bn. Thereafter, she noted that N40bn would be released over a nine-month period as the second tranche through the bond market where each state would received the sum of N1.1bn. Investigations by our correspondent on Saturday in Abuja showed that the ministry of finance had commenced the disbursement from the first tranche of N50bn to some of the 35 states that applied. It was gathered that Lagos State opted out from accessing the loan and as such did not send in any application. A top government official, who spoke in confidence, told our correspondent that the precarious situation that most of the states found themselves which had made it impossible for them to pay workers’ salaries made the ministry of finance to start releasing the funds at the end of June. The official said, “The disbursement of the budget support facility to states has started. Disbursement started in June and has been made to some of the 35 states that applied. Only one state which is Lagos State did not apply for the loan. “Why we started in June was because of the precarious situation in which many of the states found themselves. There have been complaints about non-payment of salaries and there is no way we can just sit back and watch while workers continue to suffer. “We have started monitoring the states based on the milestones that they are to achieve before further disbursements would be made. You know that there were conditions that were given to them before they could get more money. When contacted, the Media Adviser to the Minister of Finance, Mr Festus Akanbi, confirmed that the disbursement of the loan to the states had started. He, however, said while 35 states applied for the loan, the ministry had commenced the disbursement to only some of them. He, however, could not provide the number of states that have so far been given the loan. Some of the conditions attached to the loans are that a restriction would be placed on states borrowing from commercial banks; that all states must publish their financial statements, budgets and the quarterly budget performance; that states’ finances would no longer be shrouded in secrecy and items like security vote, feeding, travel among others would be made visible. Other conditions are that states would review obsolete revenue laws and tariffs; and redefine Internally Generated Revenue to include non-tax revenue sources that will reflect local opportunities in each state especially in solid minerals. In the same vein, the states have been directed to set target limits for recurrent to capital expenditure; set target for personnel costs as percentage of total budget; clean up their payroll by eliminating ghost workers as well as set up Efficiency Unit to reduce cost of governance. Akanbi had last week told our correspondent that disbursement would not be made to any state in any month that the Federation Account Allocation Committee distributes over N500bn among the three tiers of government. He had said once the monthly distributable revenue is up to the threshold of N500bn, the amount that would be available to each state government in that month would be enough to run its programme.